The commitment of a superior service is one we at Phoenix Health Care Services offer to both our clients and our workers. Our experienced and educated team of Health Care Assistants are available last minute for those staff shortage situations which we completely understand do happen. We can also arrange to supply longer term care for one-to-one service users within a variety of different settings. Our HCAs also take part in regular face to face educational courses, such as Positive Behavioural Support, Palliative Care, Report Writing, Health and Safety, Lone Working and Conflict Resolution, Basic Food Hygiene, Infection Prevention and Control, and Safeguarding Vulnerable Adults. Phones are manned 24 hours a day 7 days a week and when we are busy with other clients we will get back to you within minutes. We have workers throughout the county of Cornwall, and we will always treat your enquiry with professionalism and consideration. Call Jill or Julie for any information or to book a shift with one of our highly trained, experienced and qualified workers. Phoenix workers can be there. 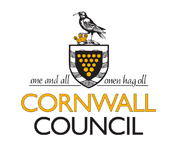 We care for Cornwall by caring not only for our clients but also for our excellent workers.